Planning a getaway this July 4th holiday week and taking your cannabis along for the ride? Yes, folks do it all the time, but you should consider your tolerance for risk and the angst that goes along with it. Personally, I don’t venture into this world because it’s just not worth the worry to me. As I mention in this article Traveling with Medical Marijuana, it simply doesn’t matter whether or not you have a legit medical card in your home state or not. Once you’ve left the confines of that state, you’ve technically broken federal law. And traveling through airports brings with it another whole set of guesswork. Some airports prohibit cannabis on the premises while others don’t have such a strict policy. TSA is a federal agency so once in the screening area, you’re now under federal jurisdiction. Some airports have areas for you to “dump” your cannabis while others may confiscate it and turn the matter over to local police. There’s just no one set of rules that applies everywhere, every time. 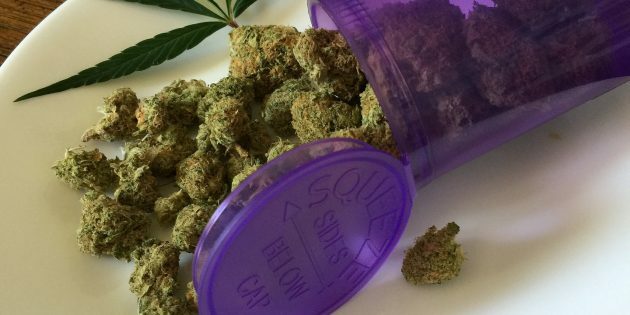 For those who truly depend on cannabis as their medicine, this clearly presents a problem. At this point in time, it’s everyone’s personal decision to take the risk because it’s so vital to your health and well-being. This may especially be the case for families traveling with children who suffer from seizure disorders. But if you don’t fall into this essential category, it might be better to be safe than sorry. Want to stay up to date on the latest information regarding cannabis and nutrition?